The EPUB or the Electronic Publication is a free standard e-book format that helps to view or convert epub books. It is basically used by all e-book readers. With the help of this free e-book reader, users can easily convert all epub files into a single PDF document. This reader also enables users to read the epub e-books easily. EPUB files have the extension .epub. There are several online tools which enable users to read the .epub extension files. 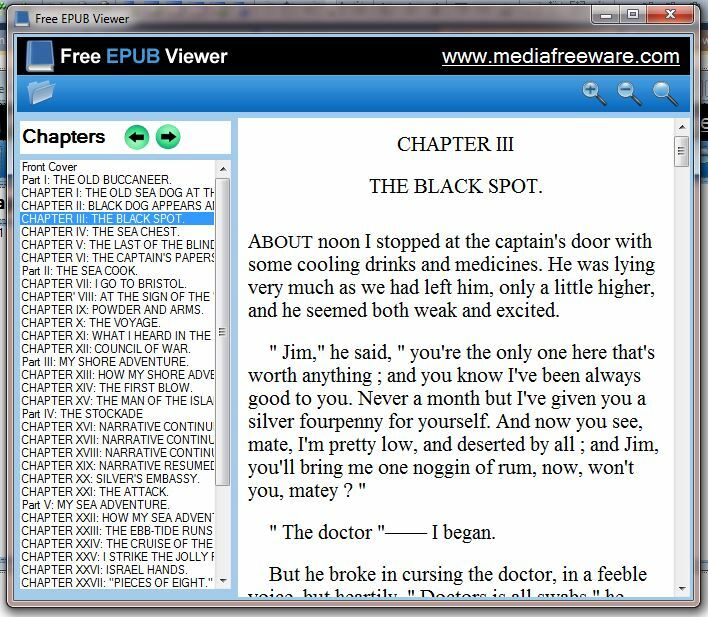 This free software e-book reader features text optimization for a specific display device as it is designed for reflowable content. This means that the content on the reader can be formatted into pages according to the size and font of the text. So users can practically flip the pages while reading an EPUB book. There is hardly any need to resize or expand the Windows to view parts of the page which is not displayed on the screen. Since the EPUB reader spec features a reflowable requirement, it utilizes XHTML files into book pages. However, the device also supports content with a fixed layout. The free EPUB reader has various features that make it superior to the other e-book readers. The EPUB reader for Windows is an excellent window utility that can easily convert all .epub files so that it can be read easily on computers and iPhone. This free e-book reader includes an advanced interface feature. It is quite easy to install the EPUB reader as it supports Windows 2000, 2003, Vista 7, 8 and XP. This free software tool is highly indispensable to view and read e-books by simply flipping the pages. The EPUB reader freeware can be downloaded easily by entering a URL. It can be used on low-end android phones too.